Emails are used for the purpose communication, with family, friends and for the business purpose. The font-size should be simple or in readable form, so that other person can clearly read it. The change in the font-size can be done by various methods and we are going to discuss them after the other. Open Browser: Open your browser such as google chrome and click on it and type Gmail.com on the search bar. Enter Email id & Password: Now, you can enter your email-id with password and click on login button. 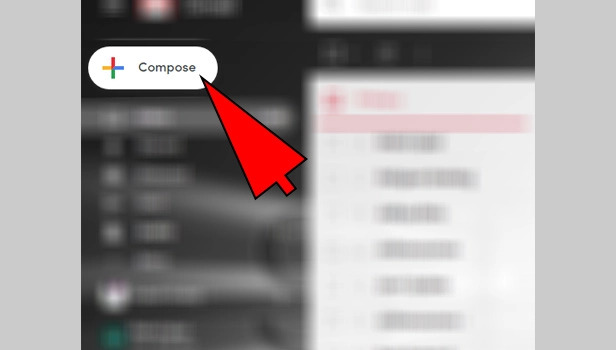 Click on Compose: click on compose icon and compose your e-mail message. Click on Formatting-option: On the bottom, you can see there is a formation option in which font-style, font-size, font-type all this options are available. 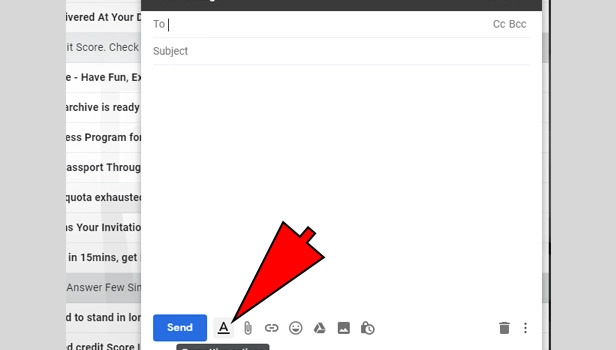 Click on Font-Style Button: there is a button just above the send button through which you can change the font-family. Change Font-Size:Just after the font-family, there is double T selector which can change the size of the font from large to small. 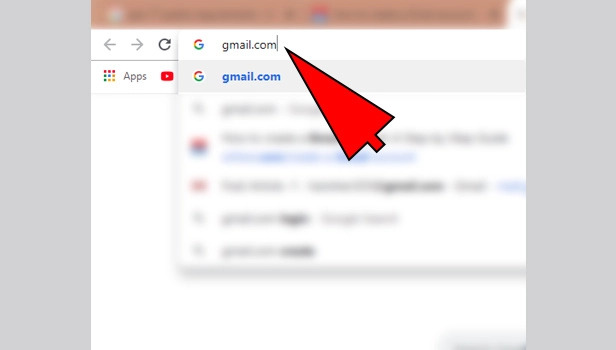 Open Google Chrome: First, open google in your browser and type www.gmail.com on the search box. Enter Email id & password: After this, you can see the Gmail account login, and you can enter your email-id and password. 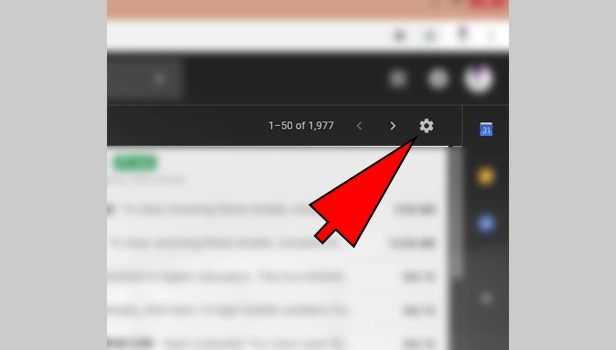 Go To Settings: On the top of the right corner you can see the settings button, which is circled-shaped, click on that. Click on Setting the Font-size: after clicking on the settings you can see there is number of options in general, labels etc. Choose general option. Choose Default Text style: you can see there is default text style option. 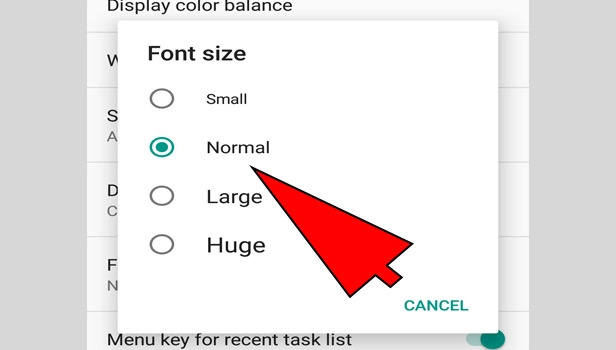 Change the font-size: just after the font-family selector, there is double TT option click on that, and you can change the Font-size from small to large and huge to medium. 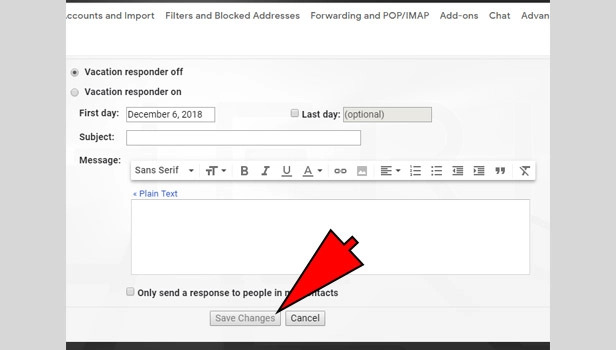 Save Changes: On the bottom of this page , there is save changes button click on that. 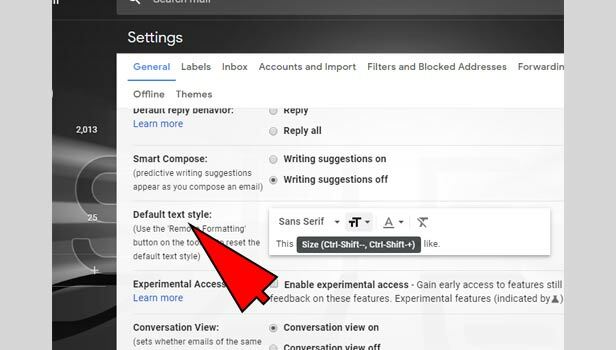 Click on Compose : click on compose button, and write an email and you can automatically see the change in font-size. 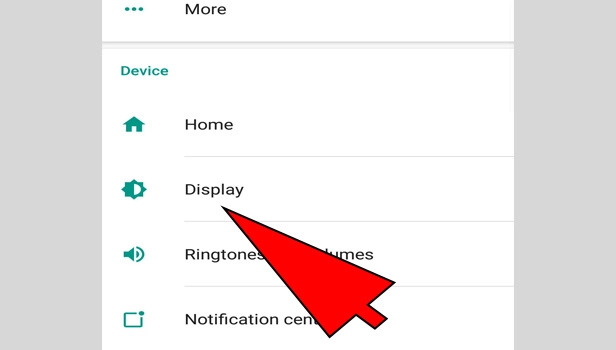 The settings procedure of every phone is different. The steps we are discussing below may be varies from phone to phone. 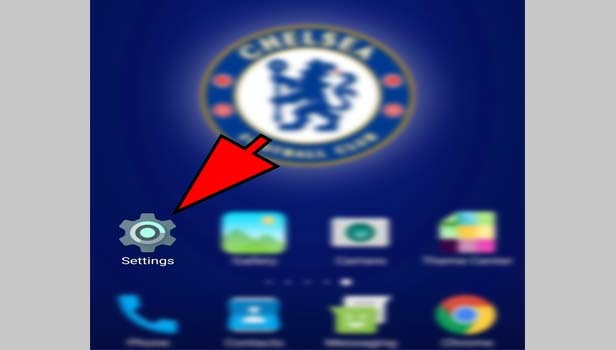 Open Settings: First, open the settings option in your android phone. Tap on Display : scroll down, you can see the display option and then click on that. 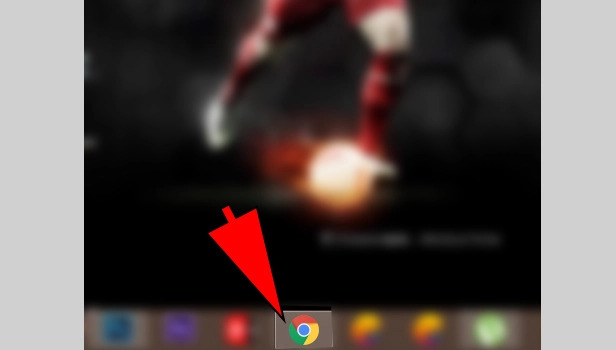 Click on Font: after clicking the display option, you can see there is a font option, click on that option. 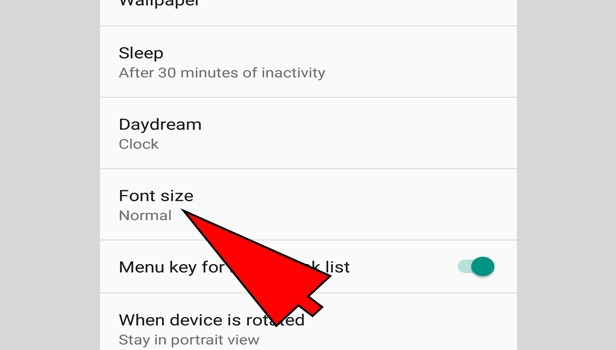 Change in Font-size: after clicking, there is an option of font-size which varies from tiny to huge, you can change the font-size with your hand by holding your finger on the blue dotted circle. Save Changes: After, you change the font-size from tiny to huge, you can click on done option to save it. 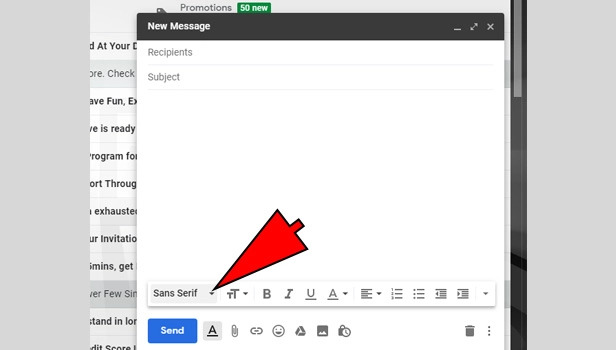 Go to the Gmail app: Go to your Gmail app, and you can see the changes in the font-size, if you want to write an email, you can see the font-size is changed now. Back to the settings: In case, if you want to decrease or increase the font-size again you can repeat the above procedure. 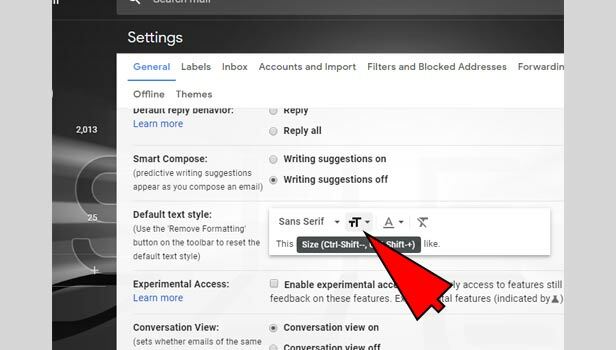 This is the most convenient method for changing the font-size in Gmail for android phone. 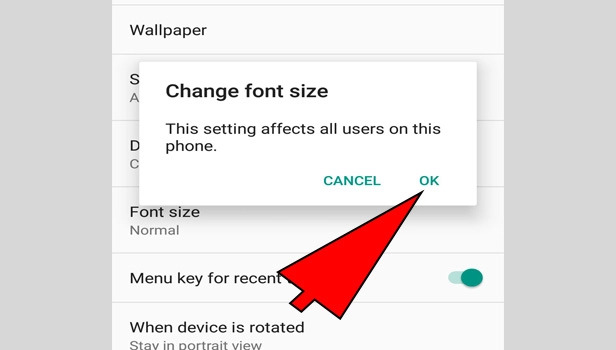 There is no need to install any other tools, you just go to settings and change the font-size according to your requirement. 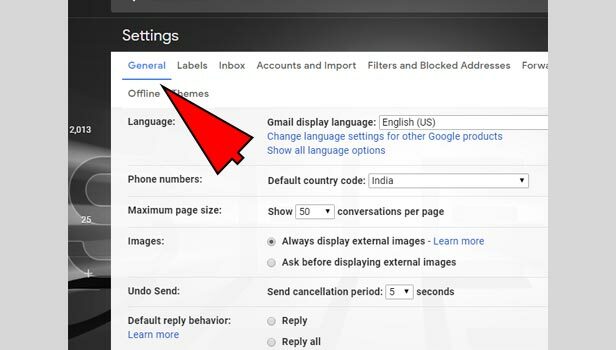 By using this method you can easily change the font-size in your gmail account and write the attractive email to your loved one’s and also for the business or meeting purpose.